A semifreddo is a gorgeously indulgent dessert. Bring in the rich flavours of coffee, and you’ve got us taking notice! However, if you’re after a healthier dessert, all that cream may not be your cup of tea. Enter the espresso yoghurt semifreddo. 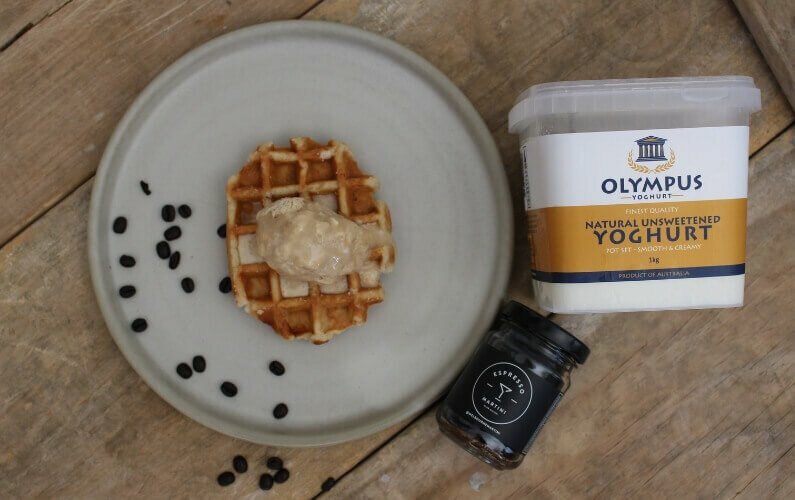 In this recipe, we blend a delicious espresso martini liqueur with our own Olympus natural unsweetened yoghurt. 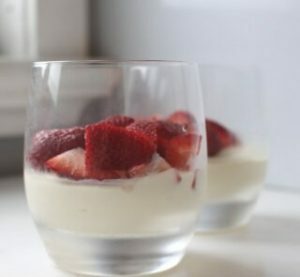 The result is a a light and smooth yoghurt semifreddo with half the cream. Our recipe was inspired by Donna Hay’s Espresso Semifreddo Sandwiches. This yoghurt version contains plenty of probiotic goodness with each silky mouthful. A wonderful dessert to have any night of the week. You could serve this semifreddo on it’s own, atop a delicious waffle, with fruit or wedged between delicious cookies as Donna does. In Italian, semifreddo means ‘half cold.’ Semifreddo is traditionally created by whipping cream, eggs and sugar and freezing overnight. It doesn’t require the churning that homemade ice cream does. If serving on its own, you could line your tin with Glad Wrap or baking paper, which allows you to turn the semifreddo out and slice it before serving. You could also add in toasted nuts or cacao chips before freezing for additional texture. Blend coffee, warm water and liqueur in a heatproof bowl. Once coffee granules have dissolved, set aside to cool. Half fill a saucepan with water on the stovetop and set to simmer. In a heatproof bowl, add eggs and egg yolks, vanilla and sugar. Place mixture over the simmering saucepan, beating well with a hand-held mixer for 6-8 minutes until the mixture thickens and turns pale. Remove bowl from heat and also set aside. In a separate bowl, whip yoghurt and cream until stiff peaks form. Gently fold in yoghurt/cream and coffee mixture into the egg mixture until all combined. Pour into a 2 litre metal tin. 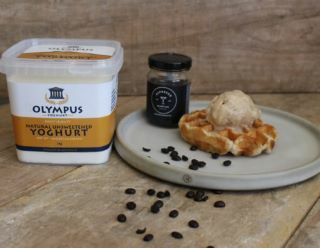 Where can I buy Olympus Yoghurt? 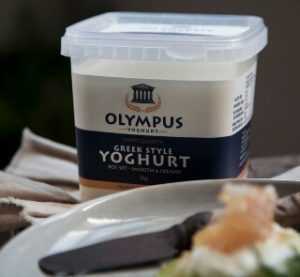 Olympus Yoghurt is an all-Australian all-natural product made in Queensland without added sugar or preservatives. It is available around Australia at independent retailers. Find a stockist near you. 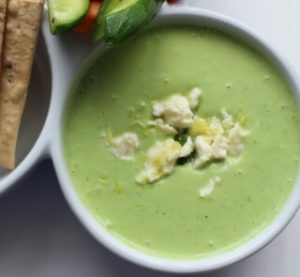 Or head to our recipes page for the latest recipes and food ideas featuring Olympus Cheese and Yoghurt!